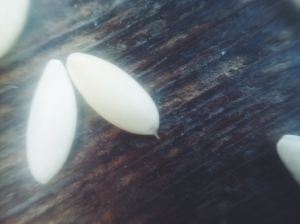 Each seed has a story. 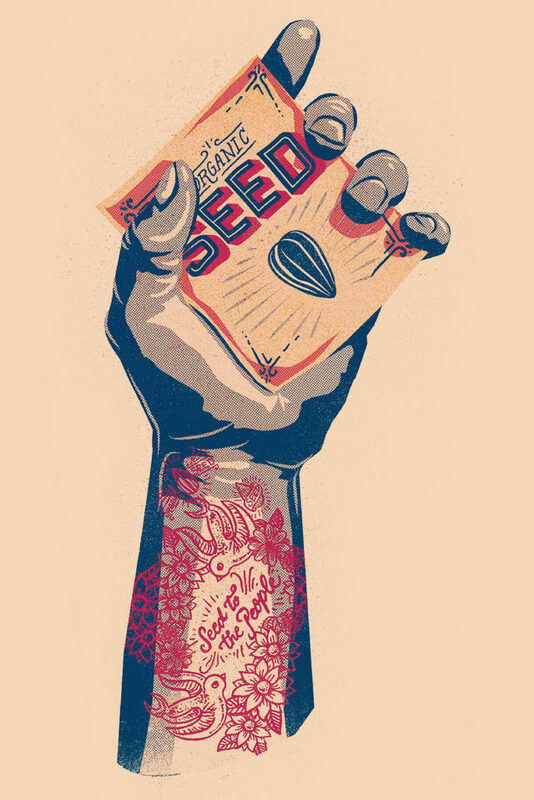 Some seeds h ave been passed down relatively unchanged for generations. Others have been breed for certain characteristics and traits. And others have been adapted for climates like North Dakota. 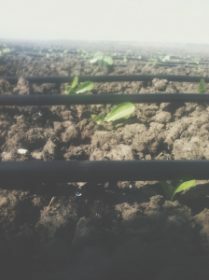 In developing our seed order, it became apparent that we need seeds of all kinds (except GMO) in order to deliver quality product to our customers. Many of the seeds we purchased we’ve grown before for ourselves and recommended to family. It only seemed right to continue with the reliability and deliciousness we’ve found in each variety. In our quest to become certified organic we follow organic management practices. Therefore, we need varieties that are well adapted to these practices. This is why we buy seeds from companies such as Prairie Road Organic Seed and High Mowing Organic Seed. Both work exclusively in organic seed. We also purchase a few things from Johnny’s Selected Seeds and Irish Eyes Garden Seeds to round out our seed order. North Dakota is a challenging place to grow things. We sit firmly in the USDA Plant Hardiness Zone 4a. We have a relatively short growing season. The wind blows constantly, seemly from every direction. The lack of trees makes the wind that much more difficult. We get our share of Upper-Midwest thunderstorms. So finding the right varieties is important to ensure our business is successful. At Prairie Road Organic Seed, located in Fullterton, ND the Podoll family has been developing North Dakota adapted seed for almost 40 years. This small-scale seed development has resulted in some pretty unique seed that we love. They carry certain breeds that we absolutely have to get every year. 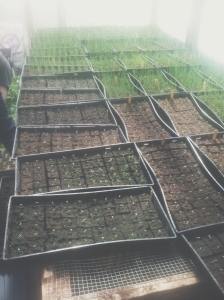 The germination and quality of product is unsurpassed. Their Sweet Dakota Rose watermelon is a favorite on our list; “Over 30 years ago David Podoll crossed a small early maturing variety (Early Canada) with a large, southern shipping variety (Black Diamond) to create this medium sized 15-20 pound delight.” It is one of the few watermelons we’ve grown from direct seed that matures in the North Dakota growing season. Oh and did we mention the flavor? Jonathon’s 87-year-old great uncle noted that it was the best watermelon he had ever tasted. We also grow and recommend Dakota Tears onion and Uncle David’s Dakota Dessert squash as well as their wide selection of tomatoes. They have a few things we haven’t tried yet, but plan to try new things from them each year, allowing us to not only support organic, but local as well. The other big piece of our seed order came from High Mowing Organic Seed. We love that they sell only organic seed. It makes ordering from them a breeze. We don’t have to look for the “OG” behind the variety, it’s implied. They carry the varieties we grow and are always competitive on price. We started farming because we believe that there is a better way to do things. Even in our purchasing, we want to support businesses that are making a living doing things the right way.